Although such a posting often takes the ADF member and their family away from the wider family support network, the rugged beauty of the tropical north and an outdoors lifestyle is a bonus to many. 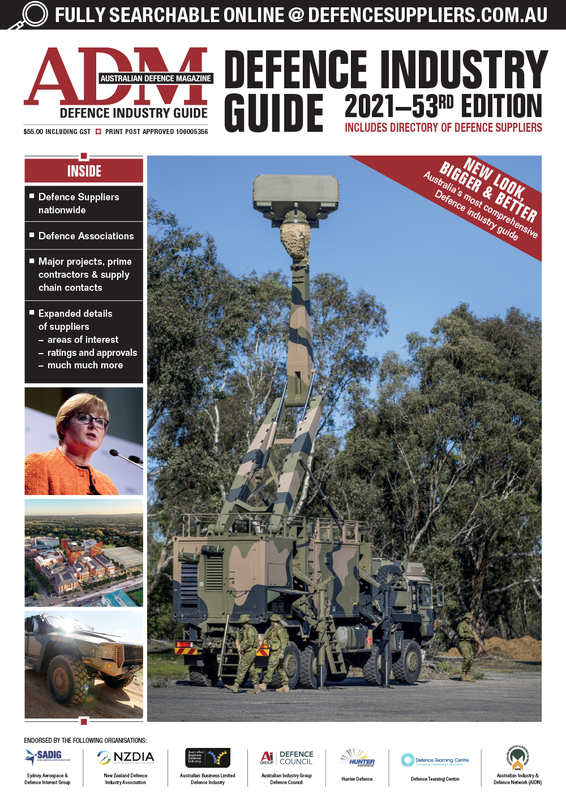 To find out more about what it is like to be a member of the ADF in the NT, deputy editor Nigel Pittaway spoke with LACW Josie Leahy in Darwin during the recent Pitch Black air defence exercise. Josie Leahy has been in the RAAF since 2009 and she is currently based in Darwin with 13 Squadron, working in the Base Command Post at RAAF Darwin. ADM: Can you explain your current role and responsibilities? LACW Leahy: I work in the base command post at RAAF Darwin and there are two areas including watchkeeping which is run 24/7 and a planning cell. I work in the Plans cell with Warrant Officer McCabe and Sergeant Heenan. Our role at RAAF Darwin as the Plans Cell is to plan/forecast support for upcoming exercises and visits. We look at the support required from RAAF Darwin on the ground and ensure that we can accommodate the proposed exercises and visits. For example we look at things like catering support, accommodation, parking plan etc. We communicate the requests out all to the sections on base and ensure that we can provide the support necessary for the visiting squadron to come up here to conduct the exercise/visit efficiently and effectively. I’ve been in the RAAF since June 2009 and this is my third year in Darwin. I have just been posted and I’m due out at the end of the year. ADM: Where have you been posted to? Leahy: Back to Newcastle, which was where I was before I came up here to Darwin. LACW Leahy: No, but I have family in Newcastle, so it will be a nice change. ADM: What motivated you to join the Air Force? LACW Leahy: My husband was in the Air Force and I saw how good he had it. I used to work in a bank and I was getting bored in my job. I was responsible for personal loans and bank loans and stuff like that and I was doing six-day weeks and was being paid a lesser wage than him. So when I saw how good it was I thought, “You know what? I could probably do that,” so I joined. I had also lived with a few people who were in the RAAF and I had a friend who just joined and she was urged me to join too. And I guess having that experience in the real world and then coming into the Air Force really makes you appreciate what you do have in the Air Force. I think you appreciate more the security blanket of being in the Air Force that you don’t get on the outside. ADM: How long do you intend remaining in the Air Force? LACW Leahy: I don’t know, it depends what the future holds and at this point in time I have no idea. At this stage I could probably see myself definitely seeing out 10 years. ADM: What have been the positives you have experienced in your Air Force career to this point in time? LACW Leahy: The positives? Look, definitely meeting people, getting out of your comfort zone and being posted to a new location. Also the friendships you make are a big positive. Over the last five years of my career in the Air Force I’ve never actually done the same job, and you’re working with different people all the time. ADM: So what have you found to be the negative aspects of ADF life? LACW Leahy: The negatives in Defence? I haven’t really had any bad experiences. I guess you could pick apart things and find a negative experience for anything if you really tried to, but there’s nothing that really stands out. ADM: Do you consider that the Air Force, or the ADF as a whole, provides the amount of support that you require personally and the people around you require? LACW Leahy: Yes, there is a lot of support in the ADF. ADM: Do you enjoy being posted to Darwin and, if so, can you tell me what it is that you like about it, both from a job perspective as well as living in the NT? LACW Leahy: Yes, I love it. I love that fact that it’s a different culture on the base here; it is a lot more laid back, which reflects the Territory as a whole I guess. Darwin itself is completely different to the rest of Australia. It feels like it is ten years behind where the rest of Australia is, and there is so much to do here. I am really an outdoors person so I love camping, fishing and sport. If you love the outdoors, the NT is awesome. Another thing is, where else do you get a Commanding Officer like Wing Commander Perrett, who has kindly nominated me to be interviewed for this article and generously offered to pay up on all the cartons of beer! From a work perspective, the hours of work up here are really good, the people I’ve met are nice and everyone here on the base has had to sort of make the most of it. RAAF Darwin is a smaller base, unlike the big city bases, so it’s a lot more personal. ADM: In your experience, what do you think the NT itself has to offer an individual, but also the family of ADF members? LACW Leahy: I think it offers an awesome outdoor lifestyle, and Darwin has always got events on in the dry season so there’s always something to do. If you love camping, fishing, playing sport you’d love it. But I guess having said that, it doesn’t really matter where you go, you’ve got to get out there and make the most of it. So if you’re open to a tropical lifestyle and you come up here with an open mind and try and make the most of what is available for you to do, I think you will really love it. 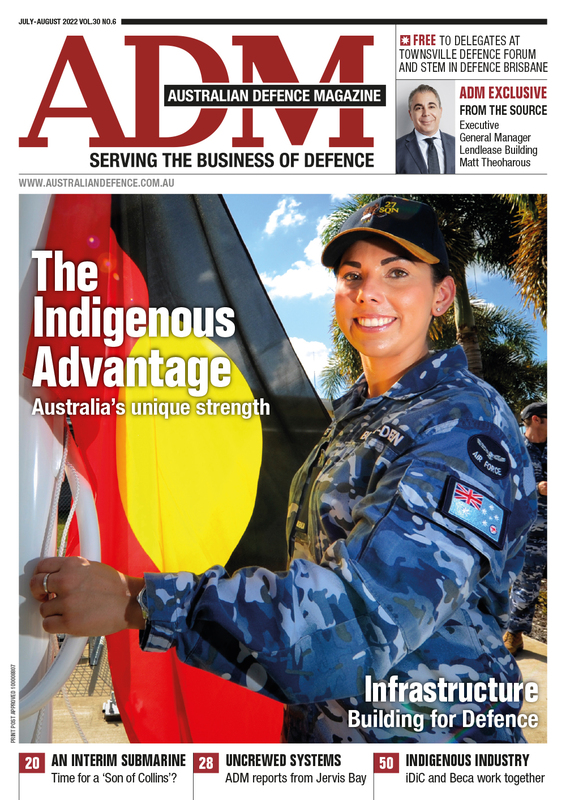 ADM: What are the negatives of being in the ADF in the NT? Are there aspects of it that you wish would be something like it is down south? LACW Leahy: It is far away from home. It is a five-hour flight to Melbourne for example and it is remote, so it’s not like I could just drive up the road to a different town for a weekend away like I could when I lived in Newcastle. So it is remote in that sense. On the other hand one of the major positives is that Darwin is close to Asia. It is a two-hour flight to Bali, so you have the opportunity to go travelling on a cheap family holiday. ADM: How does the posting cycle work for you? Do you get posted to places with your partner or are you posted separately? LACW: Well he’s in the ADF as well. He’s a mechanic, so we’re both in pretty flexible musterings, where they will post us together. My role is not a specialist role and neither is his. ADM: Would you honestly and wholeheartedly recommend life in the Australian Defence Force in the NT to other people? LACW Leahy: Well I’d like to say no because I don’t want people to find out about how good it is up here! To answer your question, yes I definitely would recommend it. ADM: So finally, if you were posted back here to Darwin at some time in the future, family notwithstanding, would you be happy with that? LACW Leahy: Yes I would be extremely happy.